Portfolio Projects for Business Analysis is designed to help students practice and perfect technology skills. This companion text is ideal for students taking a variety of different courses from Communications, Marketing, and Accounting to Introduction to Business courses. 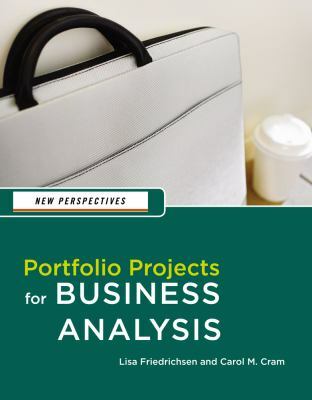 Portfolio Projects for Business Analysis includes 15 projects based on real-world business scenarios, allowing students to compile a comprehensive portfolio of business analysis examples to use during the interview process. Lisa Friedrichsen is a Professor at Johnson County Community College in Overland Park, Kansas, where she teaches database and Web-related classes. As an author, she has written several prominent Access, Office, and Web-related textbooks. Ms. Friedrichsen combines her ability to teach with extensive hands-on experience in computer technology, where she has developed many relational database systems in the fields of marketing, healthcare, and education.